How To Try VR For Free On IPhone And Android - Which? With a VR headset you can explore the world from the comfort of your sofa. There's never been a better time to get involved, so see our guide on cheap headsets and free apps. Virtual reality – or VR for short – is a technology that lets you explore jaw-dropping virtual worlds using nothing but your smartphone and a VR headset. The number of breathtaking, interactive experiences is growing every day, so now's a great time to get involved. If you've heard of VR before and want to experience it for yourself, it's quick, cheap and easy to get started. Below, we've rounded up some of the best free VR experiences around, also noting some popular VR headsets you can buy online or in shops. Mobile VR is best experienced on a speedy smartphone with a big screen. Head over to our Best Buy smartphones page to see which models we recommend. You can use a VR app with either an iPhone or Android smartphone. It's a quick process – install a VR app, slide your phone into a compatible VR headset and put it on. When you use a virtual reality app, your smartphone's display is split in two and an image is duplicated on both sides of the screen. Through the headset, the two images come together to give the illusion that you’re looking at a single, moving image. Once your eyes have adjusted, you'll feel like you've been transported to another world. Some VR headsets come bundled with a controller, which means you can use your fingers to 'walk' around inside a VR app while you look around. There are lots of VR headsets on the market for phones, computers and games consoles. VR on a smartphone is by far the cheapest option, and even though the visual quality and frame rate (which affects the smoothness and speed of the action on-screen) aren't as good as high-end alternatives, it's a great way to get started. If you search around online you'll likely be able to find a company or website that's willing to send you a cardboard VR headset for free - we've spotted a couple. High-end options, like the £600 HTC Vive and £500 Oculus Rift, along with PlayStation's £350 VR headset, are great for gamers, but we'll focus on cheaper and more accessible alternatives that anyone can enjoy. We've had our hands on a range of virtual reality headsets. 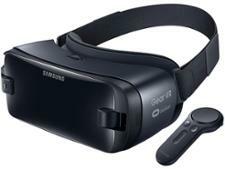 To see our first impressions on models from Google, Samsung and Freefly, see our virtual reality headset reviews page. It's still fairly early days for VR, but there are already thousands of fantastic free apps to try right away. Taking a ride on a virtual rollercoaster is a great way to experience the thrill of VR, as it tricks your brain into feeling the fear of the real thing. There are a range of free roller coaster apps you can download from the Google Play store, and you can even ride real world rollercoasters that have been filmed using 360-degree cameras. You can already find a wide range of VR compatible videos available on YouTube. Wearing a virtual reality headset you can look up, down and around as you hurtle across the track, take in the fear and excitement of others on the ride – and you'll always get a front row seat. The potential of VR is vast, and one area where it's expected to have a real impact is healthcare. From relaxing anxious patients with serene settings and helping children to feel more at home to aiding in recovery, VR has the potential to improve lives. It can also help to overcome more common fears like heights, creepy crawlies or public speaking. One app we've spotted invites you to stand in front of a packed room of people, and scores you based on your tone, clarity and overall confidence. Free photos and videos available from any of a range of vast and well-maintained VR libraries let you travel the world from the comfort of your own home. Visiting places you've never seen before, or reliving memories of a favourite holiday destination is easy with VR. You could take a trip into space to explore the solar system, or use any of a range of educational apps to help children improve their geography and world knowledge. World Traveler VR (above) will drop you in a random part of the world, and you'll have to look around for clues as to your whereabouts. Once you've figured it out, the app will serve up some interesting facts about the place you've landed in. One of the most popular developments in VR is the ability to take your own 360-degree photos and videos. Most smartphones are capable of taking a 'virtual photo', which you can then view in full 360 degrees with a headset, which is a great way to show off your holiday snaps. Dedicated 360-degree digital cameras can also help you document your trip in ways you've never seen before, taking in the full environment for you to enjoy and share with others. YouTube is a hive of treasures for those who want to enjoy virtual reality. Using a dedicated app on your phone, you can search for 360-degree videos to watch interactive short films, trailers and unique experiences. Some of the most fascinating picks we've tried include a virtual tour of Buckingham Palace, a trip above the Grand Canyon and a virtual dive with great white sharks. Sky's VR app (above) is home to interactive film trailers for Dunkirk, The Jungle Book and Star Wars. There's also a short film on Chelsea's Premier League success and a documentary on F1 legend Damon Hill. If you're a keen sports fan, you can use your VR headset to enjoy some of the world's biggest sporting events. The NextVR app is home to highlights that you can jump right inside of. Download the app and you'll be able to catch Wimbledon matches from centre court, all from your very own courtside seat. If you're not a big tennis fan, you can tune in to the latest football highlights staring some of the biggest teams in the world. As virtual reality content gets increasingly popular, we expect to see more live sporting events broadcast to VR platforms. Virtual reality: What will you use it for? The great thing about VR is it's cheap and easy to get started. If you have a smartphone and you want to try VR for yourself, all you need is a headset to pop it into. Popular picks for newbies are perfectly affordable, but if you want a more sophisticated beginner headset you could pay up to £120. 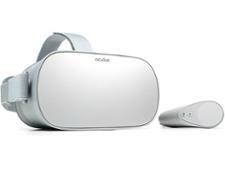 Take a look at these popular VR headsets for smartphones, compatible with Apple's iPhone range and phones running on the Android operating system. 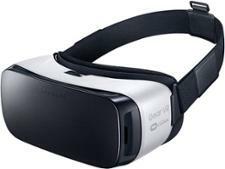 Stealth VR50 Mobile VR Headset £12.99 (Argos) Up to 6 inches Ideal as a starter headset, this budget option from Argos comes with a sliding front, which means securing your smartphone inside is a quick and easy job. It comes with a handy head strap and is available in a range of colours. Google Cardboard was one of the first mobile VR headsets to go on sale. It's very basic in terms of design (it's made of cardboard, after all), and you'll have to hold it up to your eyes yourself as there's no head strap. If you shop around online you might be able to find a Google Cardboard lookalike for as little as £5. You'll probably have to assemble it yourself, though, but that only takes a couple of minutes. We've also seen some websites that offer free cardboard headsets. This VR headset is more advanced than the two above. There are physical buttons and a touchpad on its side, which let you navigate menus without having to take it off. It works exclusively with Samsung's own phones, and you secure your mobile in place via a micro-USB port inside the headset. If you have a newer smartphone, you'll need the second-generation Gear VR as it has a USB type-C module. Shop around online, as this can often be found on sale for a similar price. The Daydream view could be a good fit if you're convinced by VR and want a comfy headset that's bundled with a controller. Not every smartphone is compatible with Daydream, however, as it's designed to run on newer smartphones with high-res screens and responsive motion sensors. Google's Bluetooth controller for Daydream View can be used to navigate menus or in-game as a 'wand' for moving objects. 2. Google Pixel, Pixel XL, Samsung Galaxy S8, S8+, Motorola Moto Z. Prices and compatibility list correct as of September 2017. The number of big-name brands backing VR is growing. YouTube, Samsung, Google, The Guardian and the BBC all make up the list of supporters. Sky has its own VR app, which has a range of experiences for film buffs and sports fans. Virtual reality looks like it is here to stay, and as more big names in the entertainment industry experiment with it, we could see some stunning VR-exclusive TV shows and films very soon. VR is becoming more than just a passing trend, with Facebook CEO Mark Zuckerberg describing virtual reality as 'a good candidate to be the next major computing platform'. We're excited to see where it goes. Looking to upgrade your smartphone? Browse all our mobile phone reviews, or get some advice on choosing the best mobile phone.